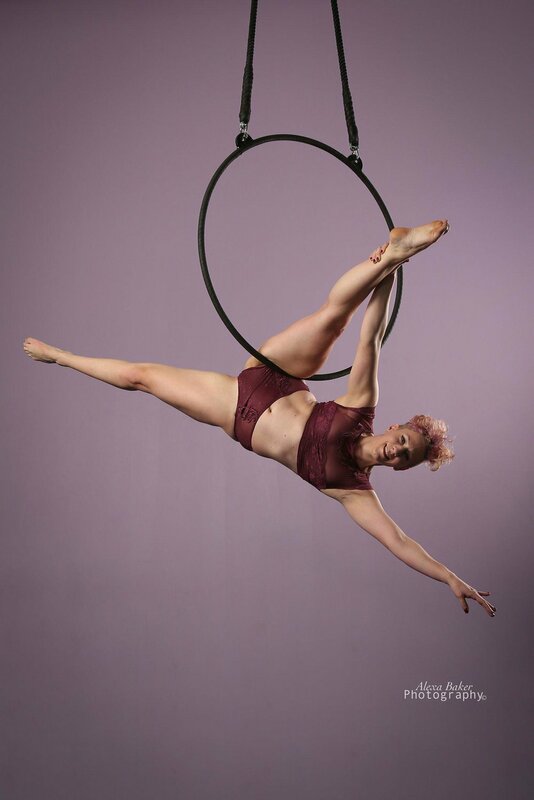 Capture your progress and accomplishments with beautiful, “brag worthy” photos of your pole or aerial practice. Various styles of background and lighting can give a clean, bright look or a more intimate and dramatic look. Bodyscapes: Play with shadows and highlight muscles, curves and contours of your body. Dark, playful and artistic. Fabric Play: Use different pieces of fabric to create unique shapes, textures and images. No two images will ever be the same. Make it your own. With darker lighting you'll create magical silhouettes. Cosplay/Artistic/Abstract shoot: Release your inner artist. Have an idea you want to try? A costume? A theme? This is your time to bring it to life. Pair up with a friend or go solo. A play between good and bad, magic and might, sweet and playful? Your imagination is your only limitation during this shoot. Boudoir: Boudoir photography can encompass tasteful lingerie, pin-up style, implied nudes, body painting, sensual couture and so much more. It's all about capturing and sharing your own sensual beauty, in whatever way speaks to you. Alexa will make you feel comfortable and confident in a private and intimate setting. No studio sessions currently scheduled. Contact the studio to find out when the next studio shoot will be or book a private appointment. Studio rental charges may apply for private appointments. See more of Alexa’s work at http://alexabakerphotography.com and on Instagram (@alexabakerphotography) http://instagram.com/alexabakerphotography.